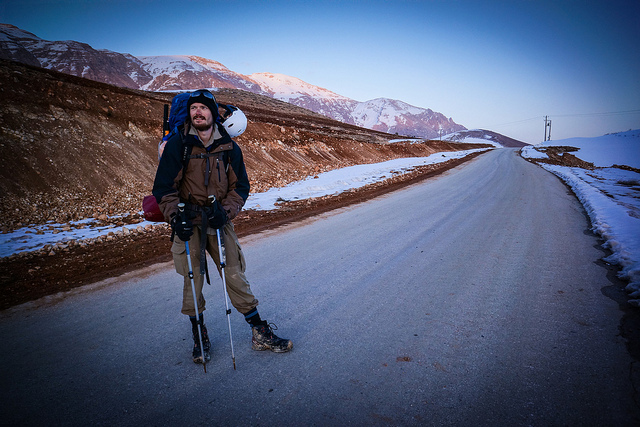 Leon McCarron is a Northern Irish adventurer and cameraman specializing in long distance, human-powered expeditions. With fellow British adventurer Tom Allen, the two set out to follow Iran’s longest River, the Karun, by whatever means necessary. Their goal was to experience the culture and geography of a misunderstood nation and to make an adventure film. But when their cameras caught the attention of the Iranian police, they wondered if they had bitten off more than they could chew. The result of their journey is the film Karun – Misadventures on Iran’s Longest River. You can learn more about it at karunfilm.com and more about Leon at leonmccarron.com. Leon McCarron, welcome back to the show.